Home / The core material for better Sashiko result; Sashiko thread. The core material for better Sashiko result; Sashiko thread. I always say that Sashiko practitioner can use any kinds of materials; there are no rules for Sashiko. However, there are some tricks to make Sashiko beautiful. One of the tricks is to use the proper thread for Sashiko. Any embroidery floss can work on the fabric. But using our Coron/Sashi.Co thread will create the best result in terms of richness of stitching. Coron / Sashi.Co Sashiko thread have large selection of colors. 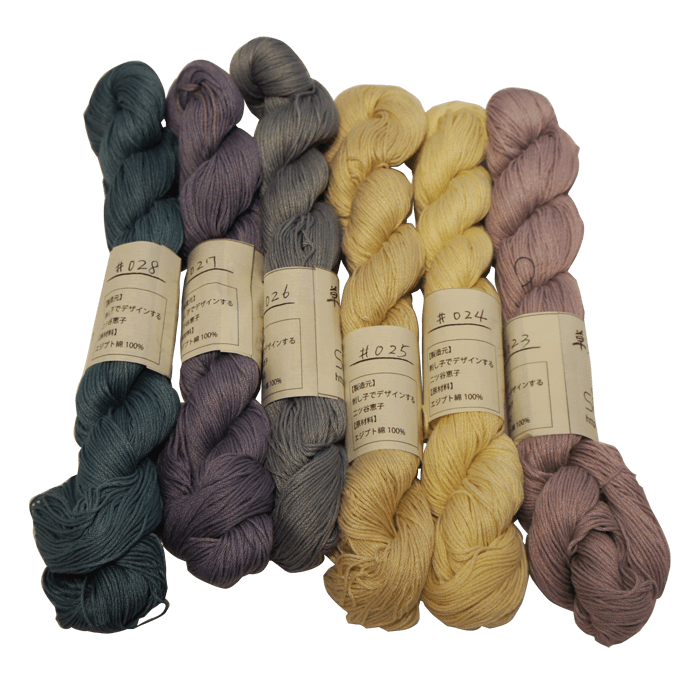 Natural Dye thread is always the most popular product. Synthetic dye thread will also give you the result of beautiful stitches. Jump to thread page for purchase. If you are living in the U.S. there is an option to get our thread from Amazon with prime benefit. You will get it within 2 days. Sashiko requires a lot of time and effort to complete one project. It is very enjoyable and rewarding. Since you will spend a lot of time of your life to make a good Sashiko piece, why don’t you try the best thread we as Sashiko professional always use?